I have 5 weddings in my family NOW through the end of the year! I'm so excited for them all! I find myself looking for a Mother-of-the-bride dress (Step Mom but still) on a regular basis. When I was inspired by a beautiful dress that didn't fit the weddings but did fit into a fun Fashion Friday crafting post! 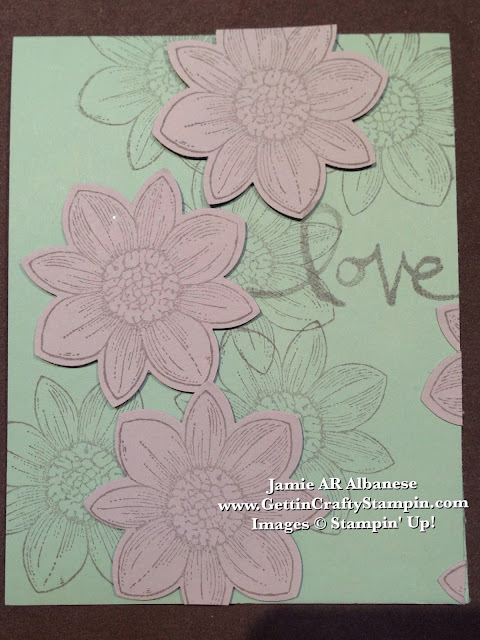 Join Us and create fashionable greetings for those in your life at our Card Making Classes! 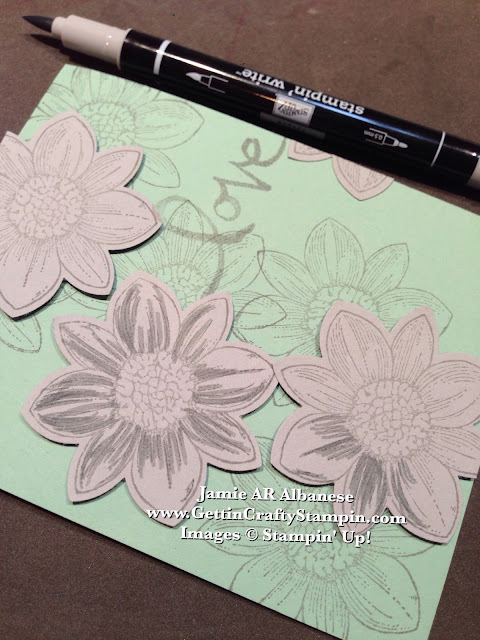 Creating a cute card is easy to do! With rich, on-trend colors, coordinating products and great crafting tools it's easy to create a pretty hand-stamped card. 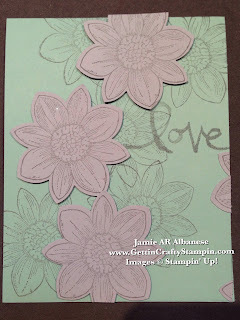 I like the flowers with Smoky Slate stamped with Smoky Slate ink pad. It was a little 'flat'. Using the Smoky Slate Stampin' Write Marker to add color on color shadowing and depth is so easy and FUN to do! 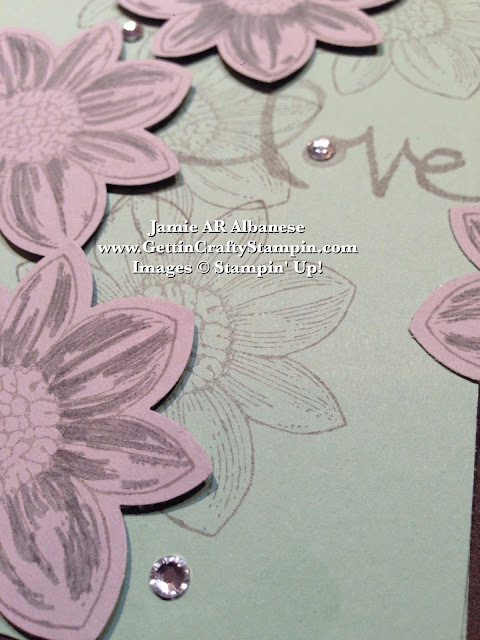 Have the punched flowers flow off the page for a more natural look to your hand-stamped projects. Ok do you see WHY I couldn't help but create a card after seeing this dress/outfit?? I love the drama and elegance of this dress! Happy Fashion Friday y'all! 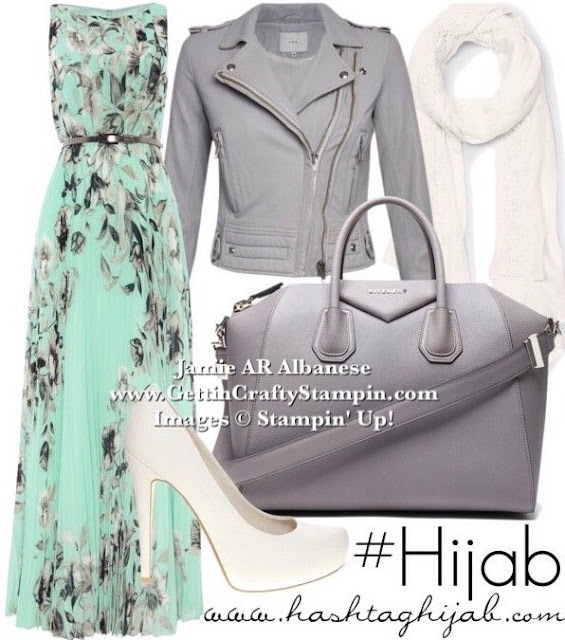 Every girl loves her accessories!! Adding a dash of bling jazzes up this card, much like it would the dress! Our adhesive backed Rhinestone Jewels are so easy to use! The larger size fits perfectly in the 'love' from the Watercolor Words! Odd numbers look best - adding the rhinestones, flowers and more is easy to do and it looks best with odd numbers. 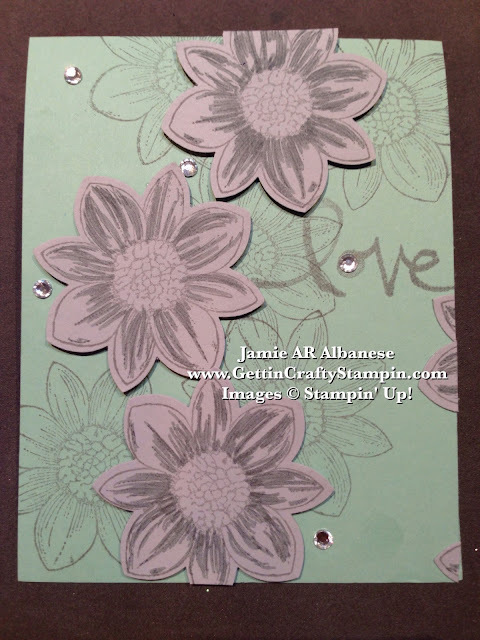 Add dimension and interest when you use the Stampin' Dimensional Adhesive to pop up the punched flowers. Create a fashionable hand-crafted card when you find inspiration around you! I love fashion and crafting - combining the two fills my heart while the results can bless others. Sending a hand-stamped card is a great way to bless others. Creating one will bless you! I like to say that my kids may not listen but my cards will - lol. Where do you find inspiration?? Leave me a comment and let me know.